Maintenance - West Bay Landscape Co.
West Bay Landscape Company has several teams of experienced gardeners providing weekly service to residential and commercial properties across the San Francisco Bay Area. 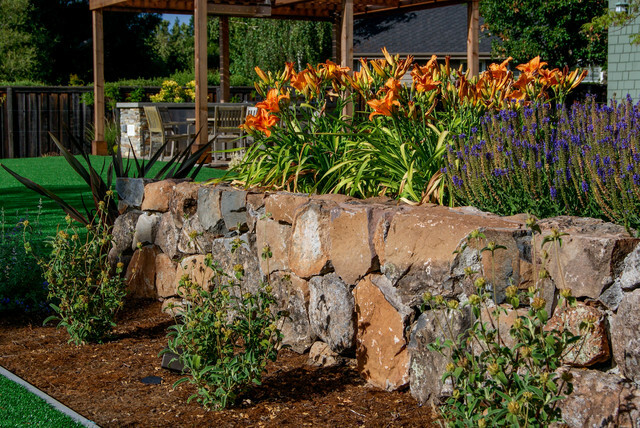 Whether we are beginning maintenance of one of our newly installed landscapes, or providing service to a mature property, our dedicated Maintenance Department Manager can design a horticultural program to fit your needs. Upon completion of a construction project, we provide the option to have the property maintained by our Landscape Maintenance Department, further extending the Warranty provided for all of our new plantings. Our Designer/Project Manager will hand the project to our Maintenance Manager with detailed communication of the ideas that were generated through the design process, as well as specifics regarding the irrigation, lighting and drainage. This allows us to develop and grow the property to meet your expectations, and to manage all elements of the property at their greatest potential. At our mature sites, and for our new customers, our maintenance goals are to increase the usefulness and attractiveness of our properties year after year, rather than to allow them to decline with age. A landscape is an ever-changing part of your daily life, and we feel that it should be a bright spot in your day rather than a burden. Our Maintenance Department adheres to the strictest and most environmentally ethical standards of horticultural service, allowing you peace of mind with sound protection of your landscape investment. Our service is tailored to meet each of our client’s needs, and includes all aspects of effective landscape maintenance. Please click here to schedule a free personal consultation with our Maintenance Manager to discuss the potential within your property.